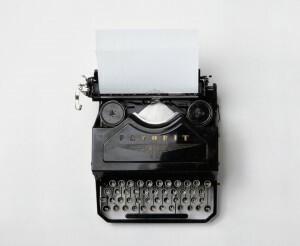 To blog, or not to blog: 10 reasons why you should. More and more companies are starting to enter the world of blogging but why? Aneela Rose PR has one and we encourage our clients to write one, so what is the purpose of having a company blog? Here are 10 reasons why starting a company blog (and continuing to post new material) can add more value to your business than you might like to think. 1. Give your company a voice and a personality. Whether it’s a consumer or business facing brand, a blog gives you the power to let your customers get some insight. 2. SEO. You’ve no doubt heard this term time and time again but it’s true. Search Engine Optimisation is real and it’s valuable because each blog you post adds another web page, giving you an opportunity to rank higher with each search made. 3. Engage with your audience and listen to what they have to say in return. See your blog as a conversation starter. 4. Use it as an opportunity and platform to inform and educate your customer base and anyone else that might be interested in what you have to say or offer. Do you have a USP? Play on it and tell people about it. 5. This is a chance for you to get one up on the competition. An opportunity and space to sell your services or offer valuable insight into something topical your potential customers want the answers to. Not every company will have a blog so instantly you’ve raised the bar. 6. Creating content is always a plus as long as it’s relevant. Try and give your readers something to talk about or even better, give them something to share across their own social media networks. A little trick is to keep content timeless as well as topical. This way it remains relevant in months to come. 7. Writing content that puts your product or service in a language that is relatable will naturally improve brand awareness. Whether it directly refers to your product or is simply helpful advice or information, your company’s name is being put in the spotlight. 8. Some companies will have one nominated blogger while others encourage the whole team to get involved. Share the workload and build up a full bank of content to choose from. 9. Writing from new perspectives encourages each person to engage with a new topic and commit to developing their existing knowledge. 10. If you succeed in writing something interesting and worth reading then your readers will return.